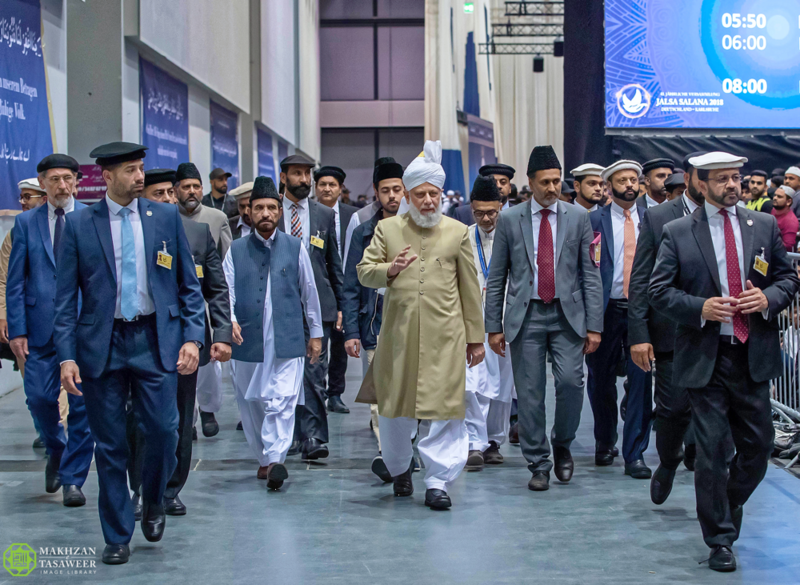 The 43rdJalsa Salana (Annual Convention) of the Ahmadiyya Muslim Community in Germany began on Friday with the Friday Sermon delivered by the World Head of the Ahmadiyya Muslim Community, the Fifth Khalifa, His Holiness, Hazrat Mirza Masroor Ahmad. 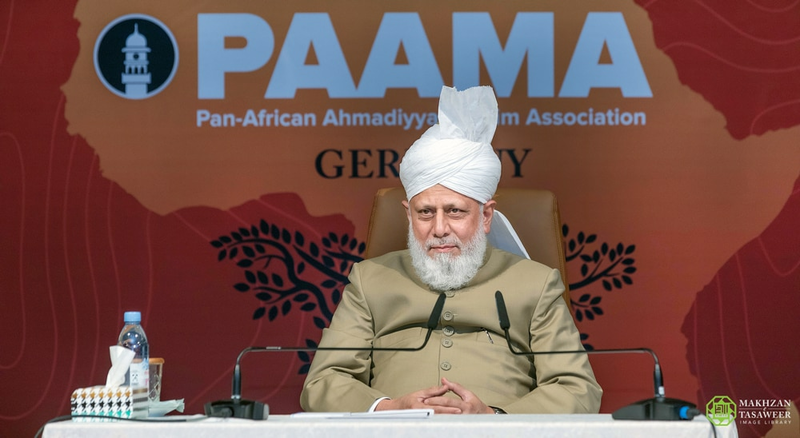 Prior to the Sermon, His Holiness raised the Flag of the Ahmadiyya Muslim Community (Liwa-e-Ahmadiyyat) to officially inaugurate the event, whilst the German National Flag was also raised. 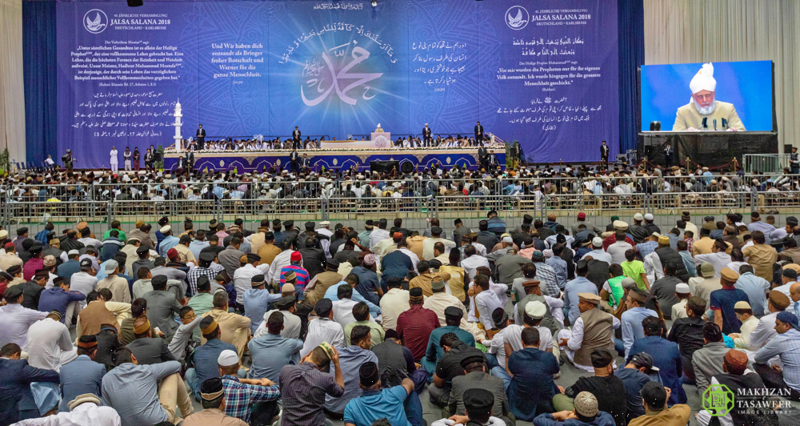 During his Friday Sermon, His Holiness spoke about the true purpose of the Jalsa Salana, and the responsibilities of all the participants. His Holiness reiterated the need to inculcate and practice the highest morals both during the Jalsa Salana and in day-to-day life. 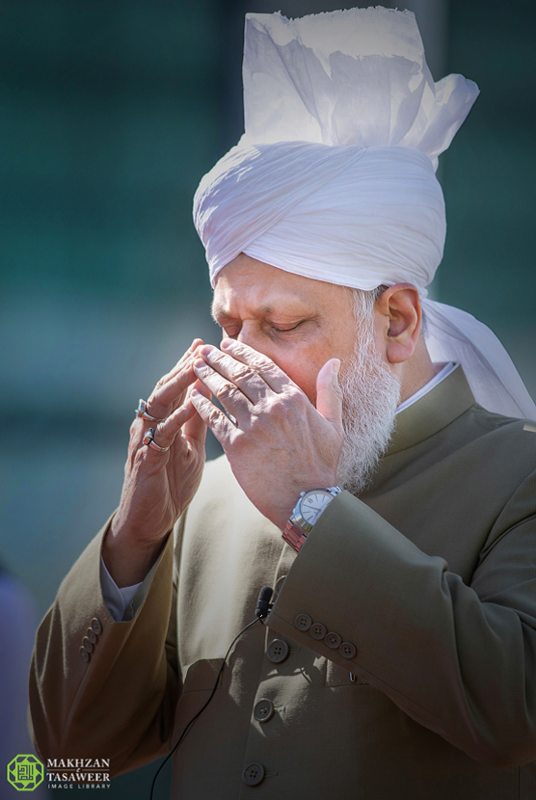 Furthermore, His Holiness said it was essential that both the hosts of the Jalsa Salana and the guests each displayed the highest standards of etiquette at all times. 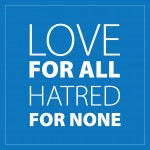 His Holiness said the Jalsa Salana was also a means of spreading true Islam and illustrating its noble teachings. 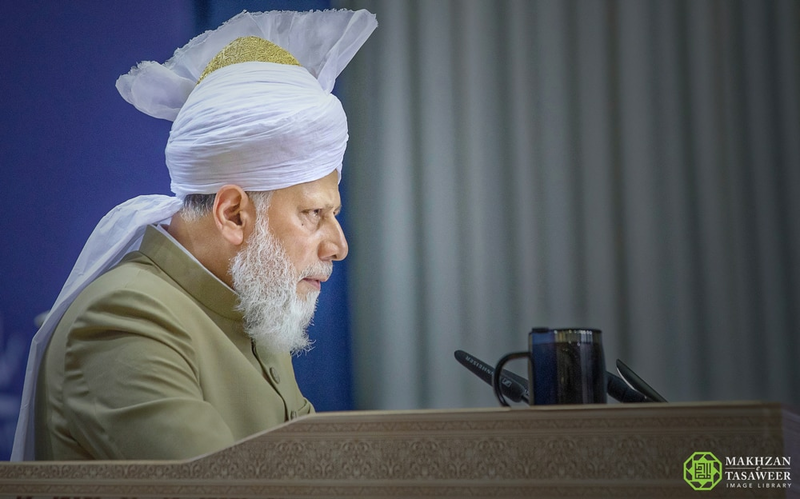 Having spoken about the responsibilities of the duty holders and volunteers His Holiness reflected upon the responsibilities placed upon the guests and attendees of the Jalsa. Later in the day, His Holiness held various meetings with delegations from abroad, including a meeting with hundreds of African guests. The guests were able to ask His Holiness a range of questions and seek his prayers and counsel on various issues.